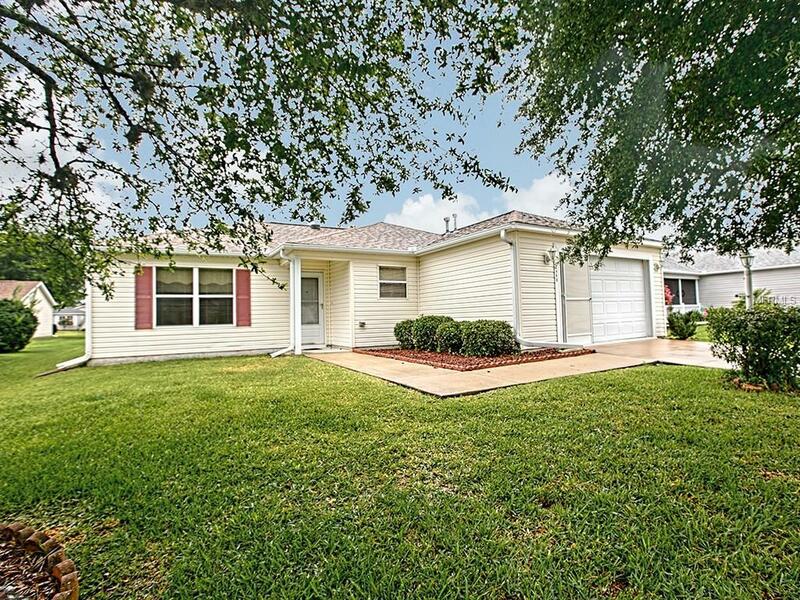 Turnkey centrally located enlarged 3/2 Cottage (Corpus Christi) in Lynhaven - close to 3 rec centers and within walking/golf cart ride to neighborhood pool. Close to your choice of restaurants, shopping and nightly entertainment and socializing at Lake Sumter Landing. This home features an open concept with convenient kitchen, dining room area, living room and large enclosed Florida room. Additional concrete pad outside to soak up the Florida sun. Split bedroom design with large master bedroom with walk-in closet, private bath and vanity. Plenty of room for visitors 2ith 2 additional guest rooms- bedroom 3 features twin beds and extra bonus room. Home is light and bright with (2) solar tubes and features a large level lot with mature trees and shrubs. Home warranty included.